Loomy Wisdom | Less. More. Abundantly. You’ve seen them. 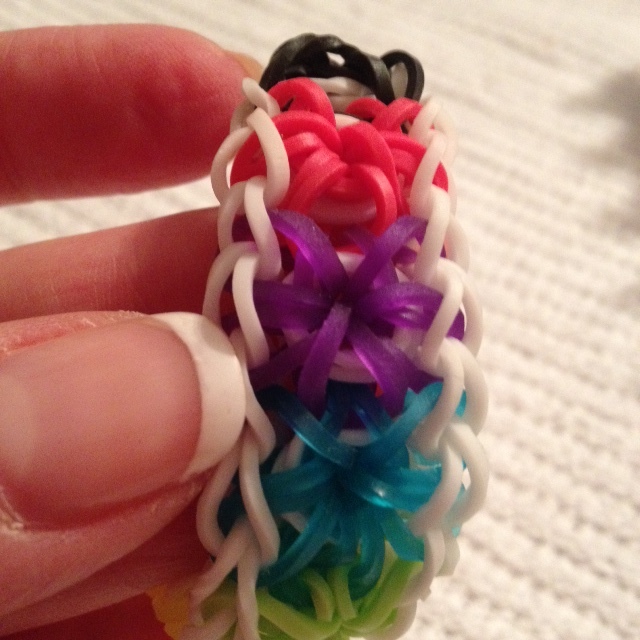 All the kids are making/wearing/stretching/trading them. It’s the fad o’ the moment. 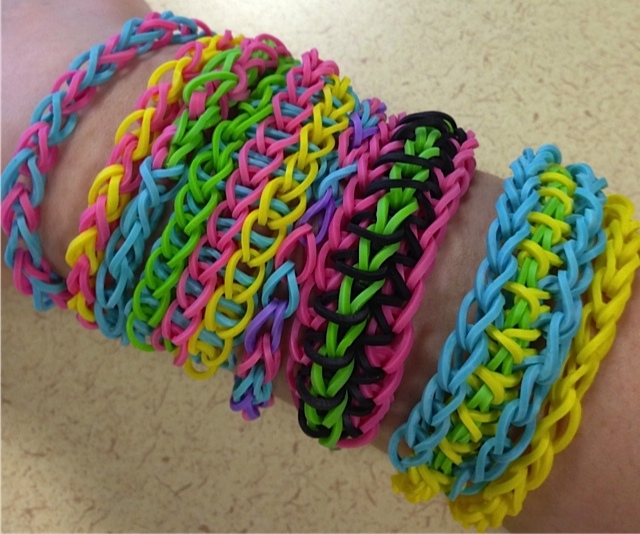 Loomed, plastic bracelets. “Mom, do you think you could make me one of those?” my 10-year-old asked, hope tingeing his voice with irresistible little boy-ness. “Sure!” I said. What I thought was, I sure hope so…. 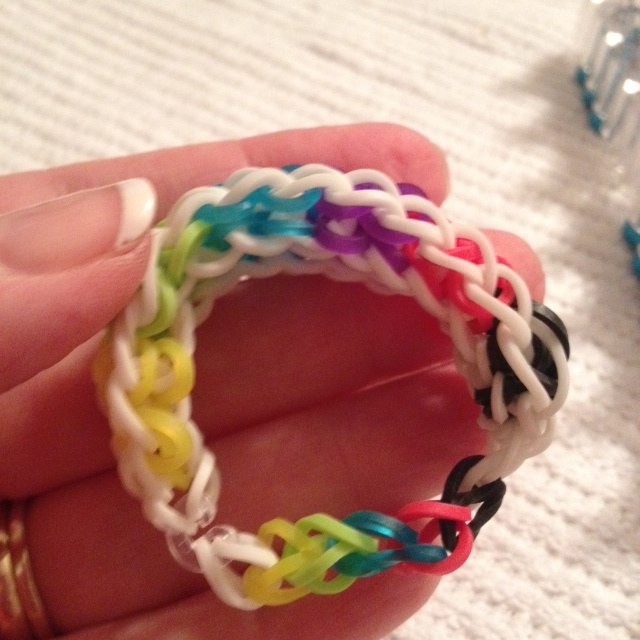 I loomed, twice. First was a disaster which had the little suckers flying across the dining room. After a shower to calm down, I sat down for my second attempt. Here’s a few deep thoughts o’ loomy wisdom. We start out life in a fairly straightforward fashion. 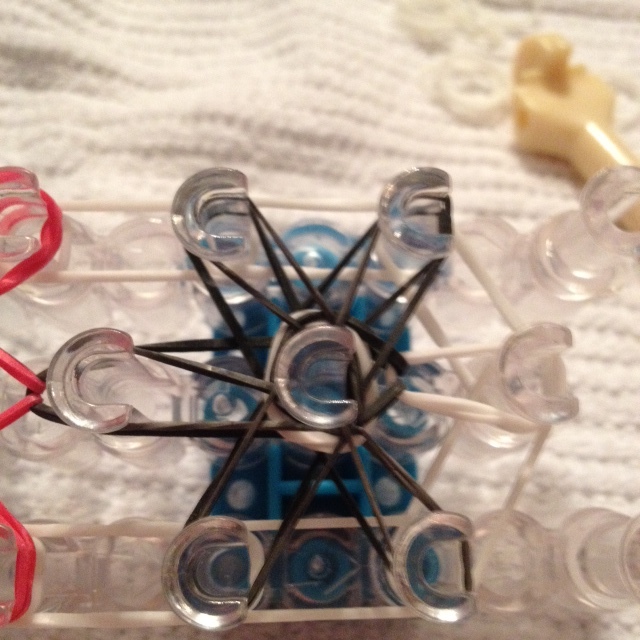 Like this loom, every cell, every trait, our DNA is so ordered. Sure, our finger prints and whether we will like chocolate or vanilla/coffee or tea are up for grabs. 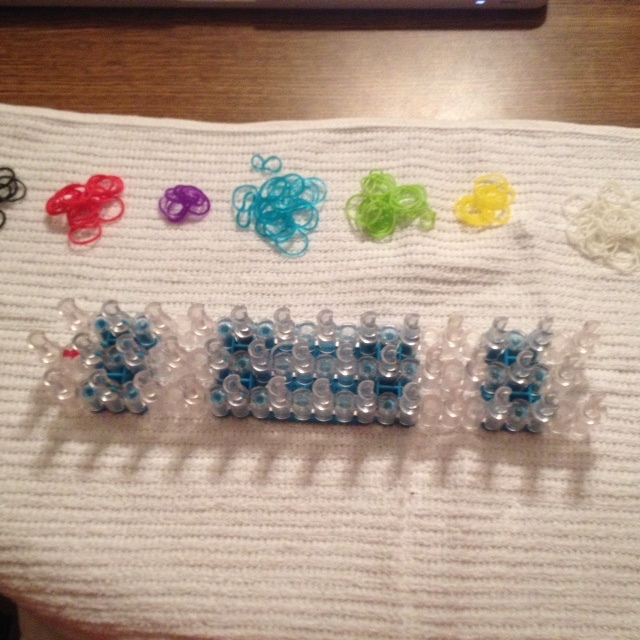 For the most part its neat, and orderly. As kids we take time to not only smell the flowers, but to cook them into imaginary stews or throw them on our brothers or set fire to them in the rain. Then it starts to get complicated. Hormones, choices, independence, control and all the challenges of adolescence mess with the careful order of childhood. And then sometimes it gets dark and complicated. The choices we make in life reverberate far into our future. I am so thankful there wasn’t a Facebook back then. There are more than a few ‘posts’ I am glad I can erase from memory. However, the choices and the connections we make, for good or ill, stick with us for years. The choices pull us in one direction or another. Some keep us tangled up in fear. Still others keep us still and paralyzed from connecting with anything or anyone else. The experiences of life color the core of who we are. I am slowly realizing all my experiences, even the painful ones, have formed the core of who I am. The scars have thickened my skin so I’m a tougher broad than most would realize. There is a colorful nugget or two of wisdom I can share with others, or with myself. As I loop my life with others intentionally and carefully, as I make new connections which will stretch me professionally and personally-I know it’s all being formed into something bigger than the sum of its parts. 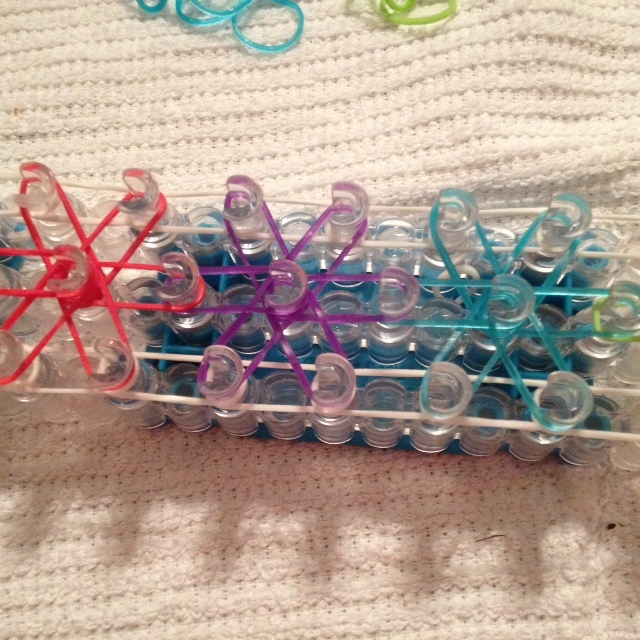 It took two hours and more than one expletive, but I finished that bracelet. I’m reminded of these sacred words, “I have fought the good fight, I have finished the race, I have kept the faith.” This is how I hope to loop together all the pieces of my life from now until the end. I want to fight the good fight. I want to finish the race. And I want to keep the faith. Argue Going to Stop Arguing?